Learn to read and use commercial sewing patterns through a series of short exercises. 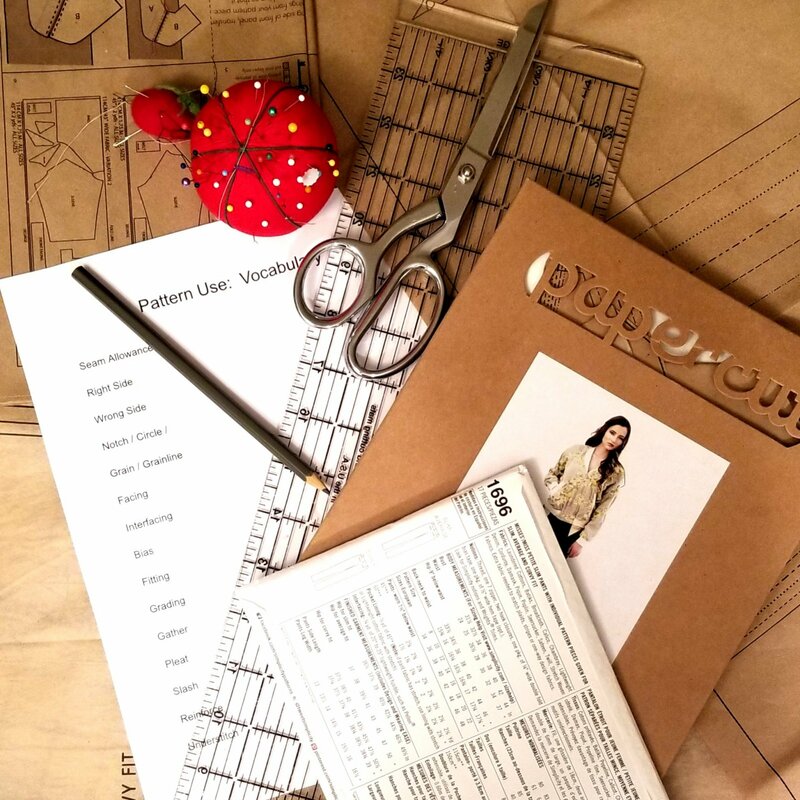 Fit a pattern to your measurements, cut a pattern piece and complete an exercise in following pattern instructions with pre-cut fabric pieces. Inventory your current skills and identify skills to learn and practice to achieve your sewing goals. Mastery of basic sewing machine use is a required pre-requisite for the pattern use class. Putting the pieces together - practice following the directions. Requirements: Mastery of basic sewing machine (Sewing Machine Basics or equivalent). Be able to thread sewing machine, fill and replace a bobbin and sew a seam.